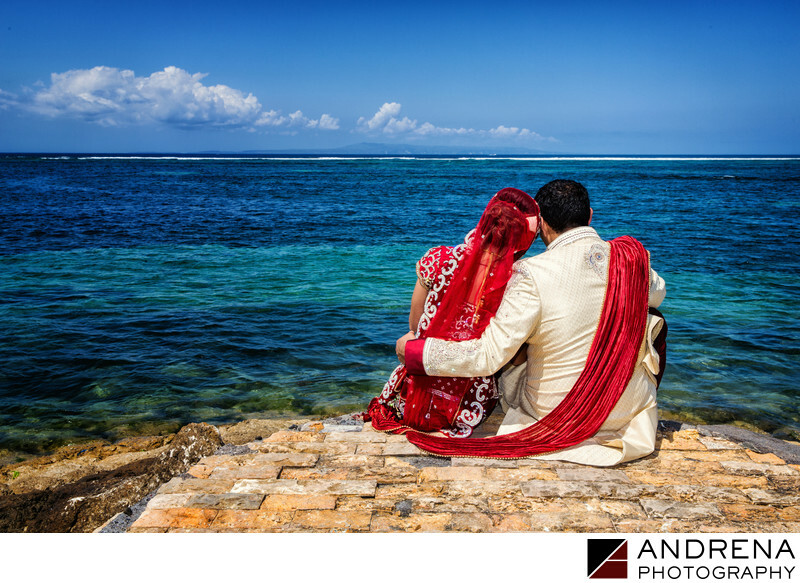 As an destination wedding photographers who loves photographing Indian weddings, I find few things more exciting than finding the perfect interplay of color. There are there major color combinations that create a psychological reaction in the view -- red and blue, orange and green, and purple and yellow. Whenever I can find one of these color combinations in my work, the resulting images tend to be particularly stunning to a viewer's eye. This image was taken on the island of Bali, at the end of a jetty, next to azure mid-day waters. The red of the bride's outfit and the groom's sash make this image come alive. I loved this small moment where they were both able to sneak away from their guests to enjoy a few stolen seconds together.